Violet color. 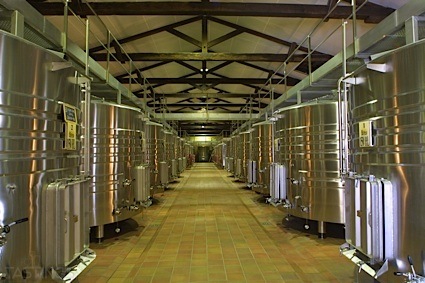 Aromas of dill, fennel, blackberry coulis, coconut macaroon, and sweet pea blossom with a satiny, vibrant, fruity medium body and a tingling, appealing, medium-length peanut brittle, leather, and stewed tomato with capers finish with medium, chewy tannins and moderate oak flavor. A juicy cabernet that offers hints of fresh herbs and rich stewed fruit. Bottom Line: A juicy cabernet that offers hints of fresh herbs and rich stewed fruit. 91 • Car Men Air 2015 Carmenere, Maule Valley 13.5% (Chile) $12.99. 87 • Denada 2015 Cabernet Sauvignon, Maule Valley 14% (Chile) $14.99. 86 • Denada 2015 Cabernet Sauvignon, Maule Valley 14% (Chile) $7.99. 95 • Denada 2016 Cabernet Sauvignon, Maule Valley 14% (Chile) $7.99. 84 • Denada 2016 Red Blend, Maule Valley 14% (Chile) $7.99. 88 • Famiglia Zaeli 2017 Reserva, Cabernet Sauvignon, Central Valley 13.5% (Chile) $6.99. 86 • Famiglia Zaeli 2016 Grand Reserva, Carmenère, Maule Valley 13.5% (Chile) $9.99. 90 • La Casa 2015 Grand Reserve, Cabernet Sauvignon, Maule Valley 13.5% (Chile) $14.99. 88 • La Casa de Terra 2016 Grand Reserve, Cabernet Sauvignon, Maule Valley 13.5% (Chile) $12.99. 93 • Paskua Land 2013 Family Reserve, Cabernet Sauvignon, Maule Valley 14% (Chile) $19.99. 94 • Paskua Land 2014 Family Reserve, Cabernet Sauvignon, Maule Valley 14% (Chile) $9.99. 90 • Paskua Land 2015 Grand Reserve, Cabernet Sauvignon, Maule Valley 13.5% (Chile) $9.99. 88 • Paskua Land 2015 Grand Reserve, Carmenère, Maule Valley 14% (Chile) $9.99. 86 • PKNT 2014 Reserve, Cabernet Sauvignon, Rapel Valley 13.5% (Chile) $9.99. 86 • PKNT 2015 Reserve, Carmenère, Central Valley 13.5% (Chile) $9.99. 80 • PKNT 2014 Reserve, Merlot, Central Valley 13.5% (Chile) $9.99. 91 • PKNT 2015 Reserve, Cabernet Sauvignon, Central Valley 13.5% (Chile) $9.99. 84 • PKNT 2015 Reserve, Pinot Noir, Rapel Valley 13% (Chile) $9.99. 88 • PKNT 2016 Reserve, Sauvignon Blanc, Rapel Valley 12.5% (Chile) $9.99. 86 • PKNT 2016 Reserve, Carmenère, Central Valley 13.5% (Chile) $9.99. 84 • PKNT 2016 Reserve, Pinot Noir, Casablanca Valley 13.5% (Chile) $9.99. 88 • PKNT 2017 Reserve, Sauvignon Blanc, Central Valley 13% (Chile) $9.99. 84 • PKNT 2016 Reserve, Merlot, Central Valley 13% (Chile) $9.99. 88 • PKNT 2016 Reserve, Cabernet Sauvignon, Central Valley 13.5% (Chile) $9.99. 87 • PKNT 2015 Gold Grand Reserve, Carmenère, Maule Valley 13.5% (Chile) $14.99. 81 • PKNT 2016 Reserve, Carmenère, Central Valley 13.5% (Chile) $9.99. 88 • PKNT 2016 Reserve, Carmenère, Central Valley 13.5% (Chile) $9.99. 87 • PKNT 2017 Reserva, Carmenère, Central Valley 13.5% (Chile) $9.99. 86 • PKNT 2017 Private Reserve Estate Grown, Cabernet Sauvignon, Central Valley 13.5% (Chile) $9.99. 89 • Santa Isle 2015 Grand Reserve, Cabernet Sauvignon, Maule Valley 13.5% (Chile) $14.99. 88 • Santa Isle 2015 Grand Reserve, Carmenère, Maule Valley 13.5% (Chile) $14.99. 92 • Santa Isle 2016 Reserve, Cabernet Sauvignon, Central Valley 13.5% (Chile) $9.99. 83 • Santa Isle 2016 Reserve, Carmenère, Central Valley 13.5% (Chile) $9.99. 90 • Santa Isle 2016 Reserve, Carmenère, Central Valley 13.5% (Chile) $9.99. 90 • Santa Isle 2016 Selected Vineyard Family Reserve, Cabernet Sauvignon, Maule Valley 14% (Chile) $14.99. 86 • Tripantu 2015 Reserve, Cabernet Sauvignon, Central Valley 13.5% (Chile) $9.99. 84 • Tripantu 2017 Reserve, Carmenere, Central Valley 13.5% (Chile) $6.99. 84 • Tripantu 2017 Reserve, Cabernet Sauvignon, Central Valley 13.5% (Chile) $6.99. 89 • Tripantu 2016 Grand Reserve, Cabernet Sauvignon, Maule Valley 14% (Chile) $9.99. 84 • Tripantu 2016 Grand Reserve, Carmenère, Maule Valley 13.5% (Chile) $9.99. 84 • Villarrica De Chile 2017 Reserve, Cabernet Sauvignon, Central Valley 13.5% (Chile) $6.99. 85 • Villarrica De Chile 2016 Grand Reserve, Cabernet Sauvignon, Maule Valley 13.5% (Chile) $9.99. 92 • Villarrica De Chile 2015 Premium, Cabernet Sauvignon, Maule Valley 14% (Chile) $14.99. 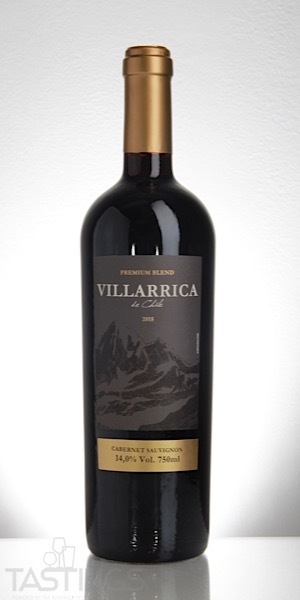 Villarrica De Chile 2015 Premium, Cabernet Sauvignon, Maule Valley rating was calculated by tastings.com to be 92 points out of 100 on 11/14/2018. Please note that MSRP may have changed since the date of our review.